Milan, March 21, 2018 – Pirelli, exclusive supplier of the Under 27 FIA European Junior Rally Championship, continues to reinforce its support of young rally drivers. The Italian firm has created a true ladder of talent that takes in every level of the sport, from national championships to the World Rally Championship. From this year, Pirelli is sole supplier to the Junior World Rally Championship as well as supplying both European Junior Rally Championships: which provide an important prize fund for drivers to progress their careers. The Under 27 FIA European Junior Rally Championship – contested by R2B two-wheel drive cars – has provided a brilliant career launchpad for its stars over the last two seasons. The winner in 2016, the first year of Pirelli’s exclusive supply, stepped up to the ERC Junior Under 28 series, and thanks also to Pirelli’s support has now gained a manufacturer contract. Last year’s winner also steps up to an R5 car. The ERC Junior calendar counts for six of the eight rounds on the ERC schedule: the Azores this weekend, the Canaries from May 3-5, Rome from 20-22 July, Barum Czech from 24-26 August, Poland from 21-23 September, Liepaja from 12-14 October. Part of the Czech motorsport federation’s young driver programme. 8th in the 2017 ERC Junior series. 5th in the 2016 ERC Junior series. 7th 2WD car on the 2015 Barum Czech Rally in a Fiesta R2. Made his debut in 2014 with Ford Fiesta R2. Son of the mayor of Liepaja. 2 victories from 2 rallies at home (Sarma and Aluksne) in 2018 with a Peugeot 208 R2. Latvian Junior Champion in 2016 and 2017 in a Peugeot 208 R2B. Made his debut in 2014 with a Honda Civic Type R (also as a co-driver), drove a Honda and a Ford Fiesta R2 in 2015. Won 4 stages in the ERC Junior U27 series last year and finished as 2nd 2WD car in the Czech Republic. 3 class wins and just 1 retirement from 9 events. 1st 2WD car and 2016 Austrian Junior Champion in a Citroen DS3 R3T. Made his debut in 2011 in a VW Golf GTD, took his first class wins in 2013 with a Mitsubishi Lancer Evo III. ERC Ladies Champion in 2016, 2nd ERC Ladies Championship 2017. Made her debut in 2015 with a Peugeot 106. Made his debut in the ERC in 2017 at the Rally Liepaja. 1st ADAC Opel Rallye Cup 2017 with 5 class wins. 2nd ADAC Opel Rallye Cup 2016. Rallied a Volvo 940 in 2014 and 2015, Volvo 240 in 2013. 1st 2WD and Junior Champion, 2017 Spanish Gravel Championship. 2nd Volant Peugeot 2017 in a 208 R2B. Part of Spanish Motorsport Federation’s Junior Rally Team Spain. 7 class wins (including Rally du Var) and just 1 retirement (technical) in 14 events. 1st Suzuki Swift Cup Spain 2016. Made his debut in 2013 with a Renault Clio. 1st SM3 class 2017 Finnish Rally Championship with a Ford Fiesta R2T. 1 win from 7 events, 0 retirements. 3rd Fiesta Sport Trophy 2016. Made his debut in 2013 in Estonia with a VW Polo 1.4. 2nd TER2 Cup 2017 with an Opel Adam R2, 1 class win and 1 retirement (off road) from 6 events. Made his debut in 2010 with a VW Golf GTI. First class win: 2011 Tegee-Dan Rally with a Peugeot 206 S1600. Rallied a Mitsubishi Lancer Evo IX in 2014 and 2015. Portugal 2WD 2-Litre Champion 2017 and 1st ERT Junior 2017 with a Peugeot 208R2. 3rd FPAK Gravel Cup 2016 in a Peugeot 208R2. 4th DS3 R1 Challenge 2015. 10th Volant Peugeot 2017. 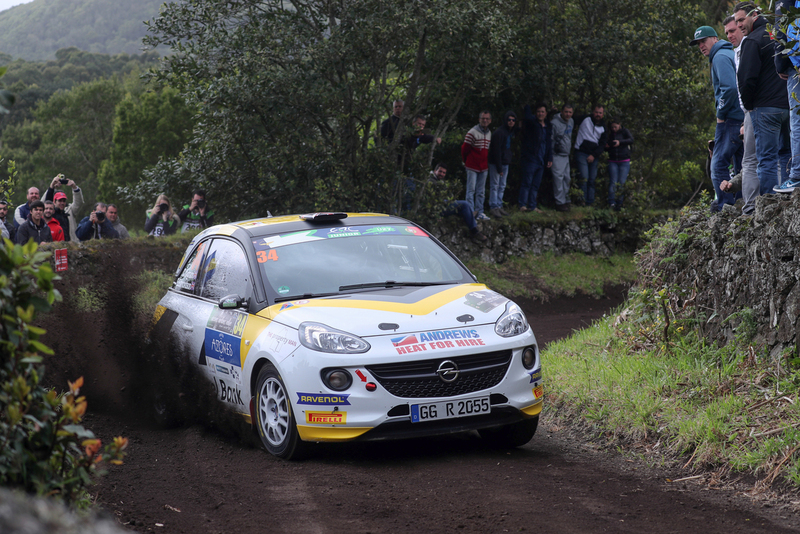 9th ERC Junior 2016 with 1 win (Azores) and 8 stage wins. 7th ERC Junior 2015 with 8 stage wins. Portugal 2WD Champion 2016 with a Peugeot 208 R2. 1st Junior Volant Peugeot 2014. Made his debut in 2010 with a Seat Marbella GL.